Affirmaison: Box bike or bucket bike? Back in the spring, we decided to buy a longtail cargo bicycle to accommodate our family of four. We have been happy with the Yuba Mundo, but since moving to Bloomington we've realized that we need to find a biking situation for the kids that will work in the colder weather. Riding a bike in the cold is okay for the rider, as you warm up quickly when you pedal. For passengers, it is a different story. Especially for passengers that are too young to know what is good for them and proceed to pull of mittens. Solution: a cargo bike with a rain cover, either a Madsen (bucket in the back) or a bakfiets (box in the front). We were almost ready to pull the trigger on the Madsen last week, but I have been waffling. It is a major purchase and I want to make sure we are making the right choice. It can comfortably holds four children so we could pick up friends and bike-pool as the kids get older (most bakfiets only hold two or three). It would be easier to handle the bike from the get-go. I am sure I would adjust to the handling of a bakfiets, but the steering and balance is different than a traditional bike. The Madsen would feel more familiar right away. It would last longer as a child-carrying device since the kids would outgrow the bakfiets before they would outgrow the Madsen. 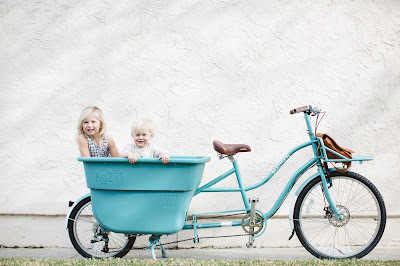 The bucket is larger than the box on the bakfiets and rated for heavier loads. 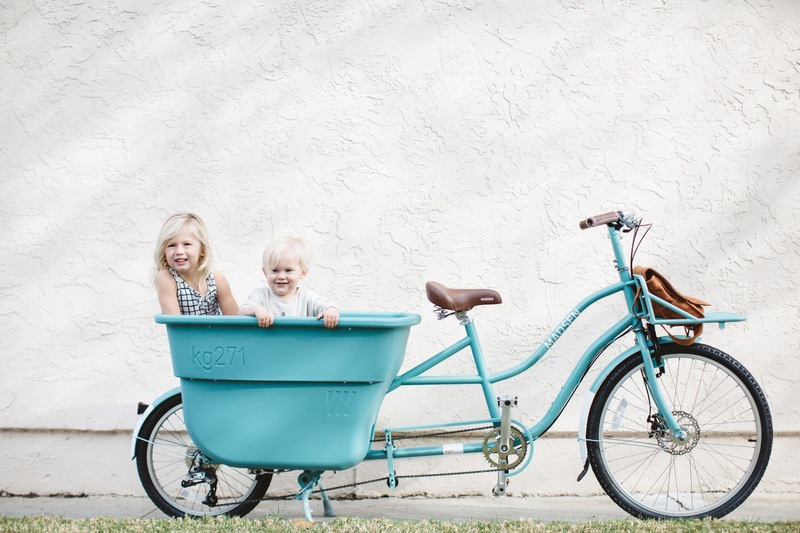 It's larger cargo capacity would make it useful long after the kids were done riding in it. The kids ride up front. It is easier to carry on a conversation and more fun to bike with kids in the front. Looking at these lists it seems clear that the Madsen is the better choice: cheaper, holds more cargo, and easier to ride from the start. But the one pro of the bakfiets is the reason I haven't been able to make a decision. I really love the idea of the kids in the front. Decisions. If anyone has any advice or opinions, I would love to hear them!